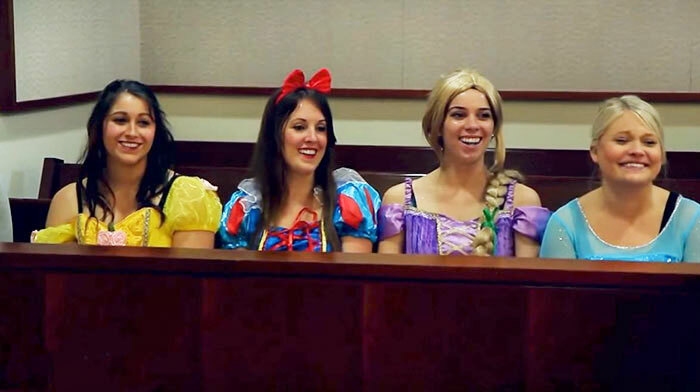 Courtrooms are rarely fun places. Or so I imagine. 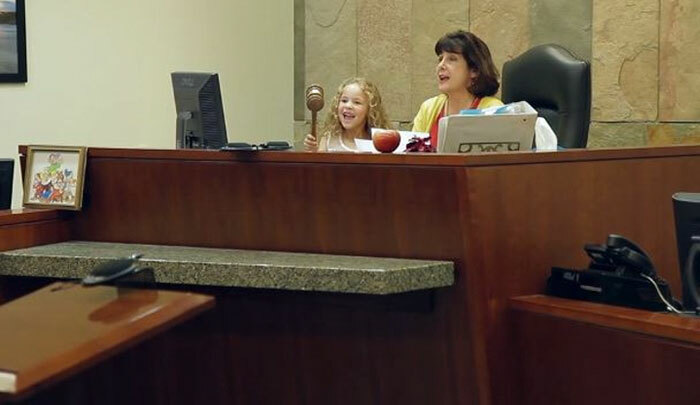 But for five-year-old Danielle Koning, the courtroom just became the most awesome place ever. Because when she arrived for her adoption hearing, she didn’t find a room full of stuffy people wearing stale suits and stern expressions. 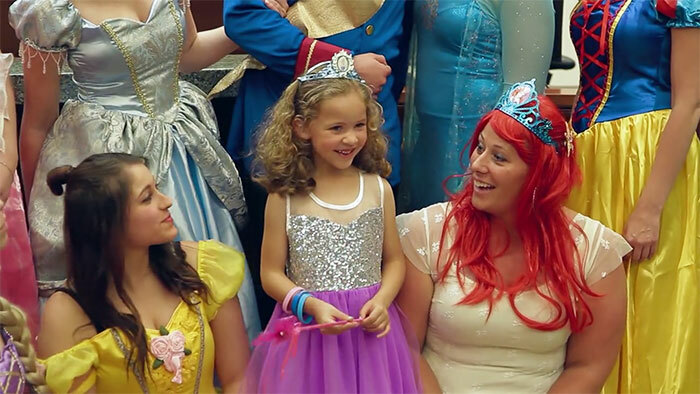 She found a room full of Disney princesses. 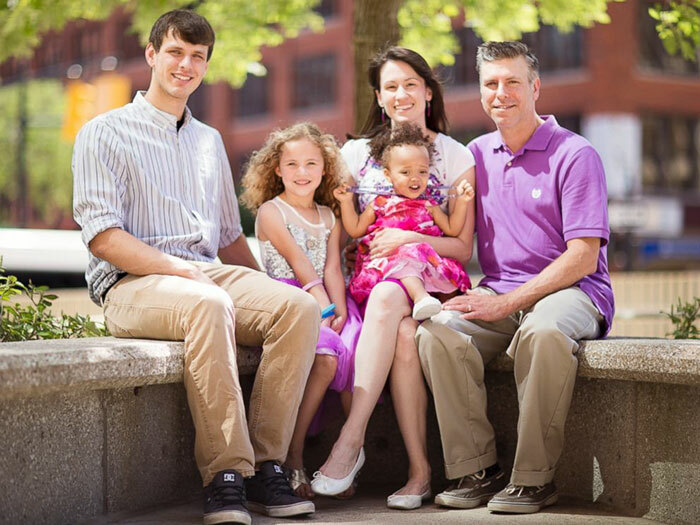 The lucky little girl from Grand Rapids, Michigan had been living with her foster parents Sarah and Jim Koning since 2014, and last week the family attended their final court hearing to adopt Danielle and another little girl. 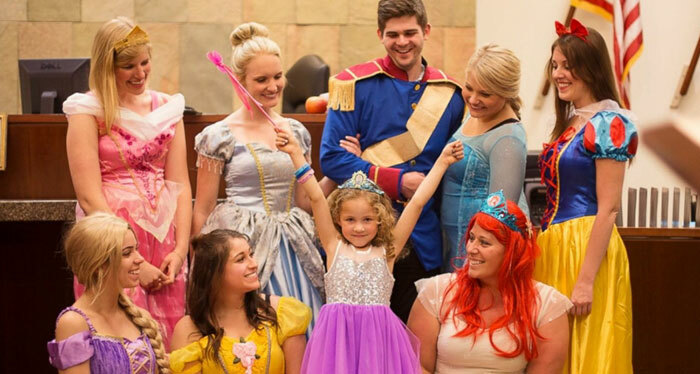 To make the day as special as possible, her foster care worker came up with the idea to dress everybody as characters from Disney movies. And as you can see, the result is pretty special indeed. 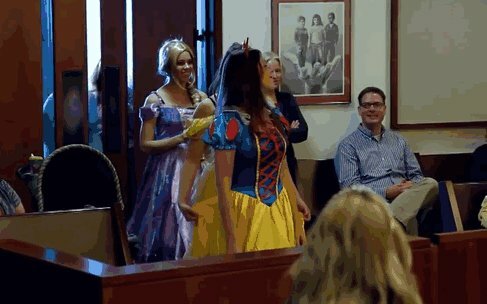 Even the judge got involved! 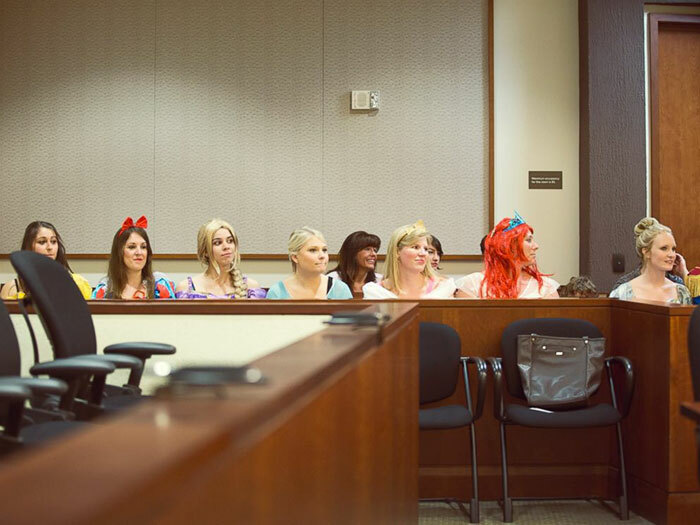 The courtroom was filled with Disney princes and princesses! 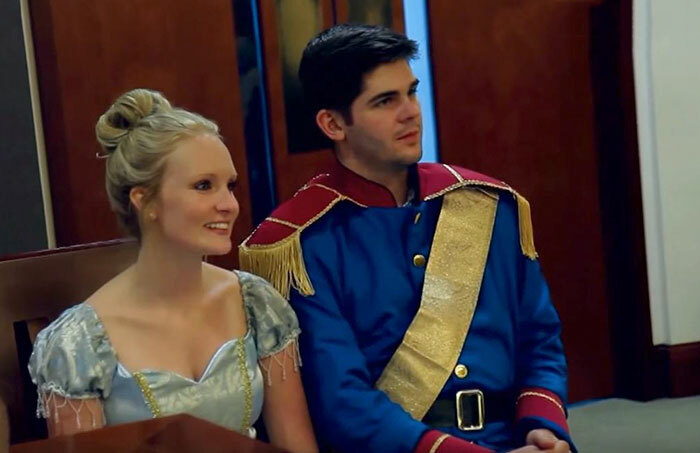 And as you can see, Danielle couldn’t believe her eyes!